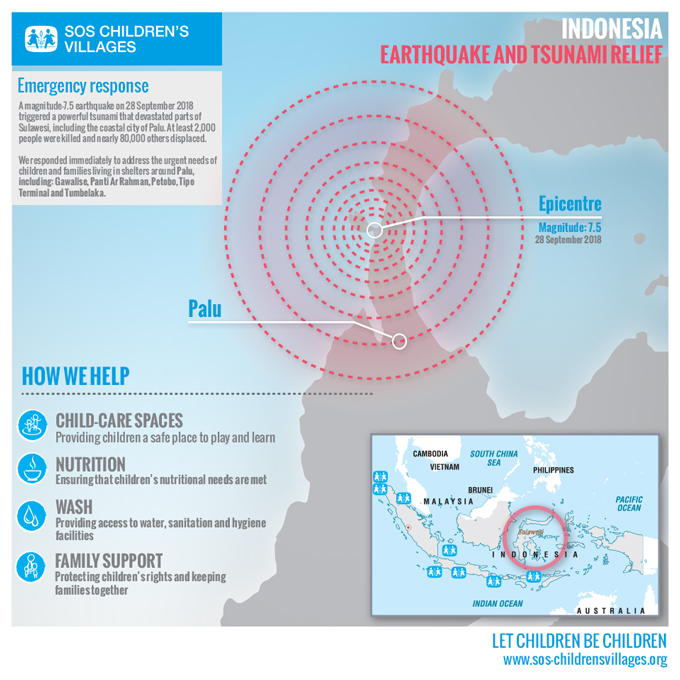 SOS Children's Villages responds to the needs of children displaced by the deadly earthquake and tsunami on the island of Sulawesi in Indonesia. 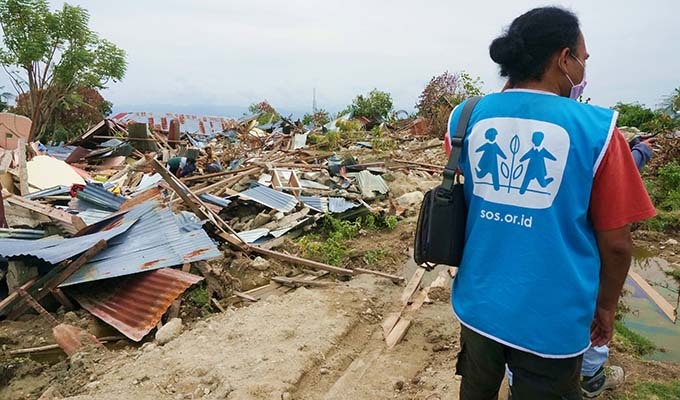 One month after an earthquake and tsunami devastated parts of the Indonesian island of Sulawesi, SOS Children's Villages is providing more than 160 displaced children with safe places to play and learn. The SOS Children's Villages child-care spaces offer recreational and educational activities in communities where many homes, schools and other public facilities were damaged or destroyed. The child-care spaces are located at shelters for displaced families. A magnitude-7.5 earthquake on 28 September 2018 triggered a tsunami, devastating coastal areas of Sulawesi, including the city of Palu and the town of Donggala. At least 2,000 were killed and around 80,000 others were displaced. Working with families to protect children’s rights. Four SOS Children's Villages child-care spaces are operating and a fifth one with a capacity for 80 children is planned.